Clarke's Blood Mixture, manufactured by F. J. Clarke, Chemist. Manufactured by G. Whelpton & Son. 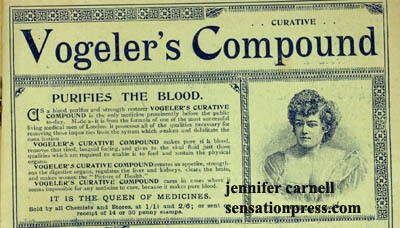 An advert in a yellowback novel published by Routledge, circa 1884. For eczema, pimples and eruptions. It is the Queen of Medicines.